Michael Bossidy is a Managing Director and Global Head of Cash Equity Sales & Marketing for J. P. Morgan. In this role, Michael is responsible for aligning client coverage to the opportunity and improving connectivity to clients. Michael is a member of both the Americas Sales & Marketing and International Sales & Marketing management teams. Michael works closely with Country Leads, Regional Managers and colleagues in Execution Services and Investor Services to develop a seamless and consistent client coverage model in all regions. He leads a team of 400 professionals who cover clients across the globe and regularly partner with J.P. Morgan’s Banking and Research franchises. Michael is intimately involved in the Equity Product initiatives relating to Technology, Operations, and Regulatory reform. Michael is a strong supporter of Diversity and Career Development at the firm. He is currently a Member of the North America Markets Analysts & Associate Development Council. 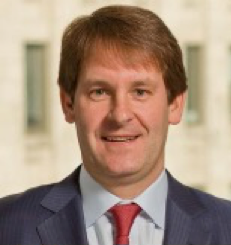 Michael joined J.P. Morgan in 1999, in Corporate Business Development. He moved to Equities in 2002 and has held a number of leadership positions, including head of Middle Markets Sales, head of U.S. Research Sales, and head of Americas Cash & Derivative Sales. Before joining J.P. Morgan, Michael spent eight years at General Electric in various manufacturing sales roles. He is currently a Board Member and on the Dean's Advisory Council at the Carey Business School at Johns Hopkins. Michael received a BA from Boston College in 1992 and an MS from John Hopkins University in 1996. He grew up in Ridgefield, CT and has eight siblings. Michael is married with four children and resides in New Canaan, CT.